Black Chokolate and keratin balancing shampoo. 500 ml. Formulated with cocoa extract and keratin, cleanses and nourishes hair from roots to ends. The cocoa extract protects hair against free radicals and keratin deeply nourishes and moisturizes. Restores hair balance, making it flexible and healty. Shampoo with anti-dandruff and skin purifying activity, eliminates dandruff particles that are already present and prevents their further formation. Treatments ingredients contained in the shampoo (keratin and collagen), shampoo provides nutrition and protection of the hair. Argan oil gives a perfect shine and moisturizing damaged hair, making them soft and silky. Application: Apply a small amount of shampoo on the entire length of hair. BLACK Express Beauty Dry Shampoo 200 ml. Black Hair loss prevention shampoo. 500 ml. Shampoo with revitalizing and strengthening action. 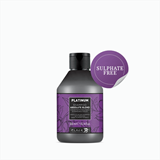 The Placenta and Panthenol extracts make this shampoo particularly indicated for weakened and thin hair tending to fall. 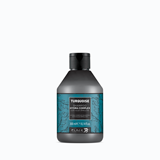 Black Sebum-Regulating Shampoo 1000 ml. for gresy hair. 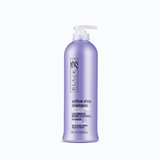 Helps eliminating the sebum in excess and grants volume and easy combing. Black Shampoo Neutro. 500 ml. Specific for frequent washing. Its formula ensures gentle cleansing of the hair and scalp, without altering the natural pH. The hair remains softer, suppler and easy to comb. A new extra gentle cleansing formula based on a surfactant whose non-aggressive action ensures gentle washing of the hair and scalp. Black yellow Stop Shampoo for Streaks and White Hair 500 ml. Specific shampoo for getting rid of yellow tones on white hair. It makes hair soft and full of body, without leaving violet or blue color residues. It is perfect to revive yellowed streaks. Noir Repair Shampoo gently cleanses and promotes regrowth, while the nourishing and hydrating properties of the prickly pear juice ensure shinier hair, to transform shampooing into a relaxing and rejuvenating treatment for the hair. Ensures soft, silky and pleasantly scented hair. Salt-free formula. Neutralise the yellow tones of white, blond or discoloured hair with the new Absolute Blond Shampoo from the Platinum range. Thanks to its special sulphate-free formula, it is ideal for gently cleansing the scalp, developing an intense anti-yellow and colour-reviving action. The Organic Almond Extract nourishes and provides hydration to dry, processed hair, making hair softer and shinier.